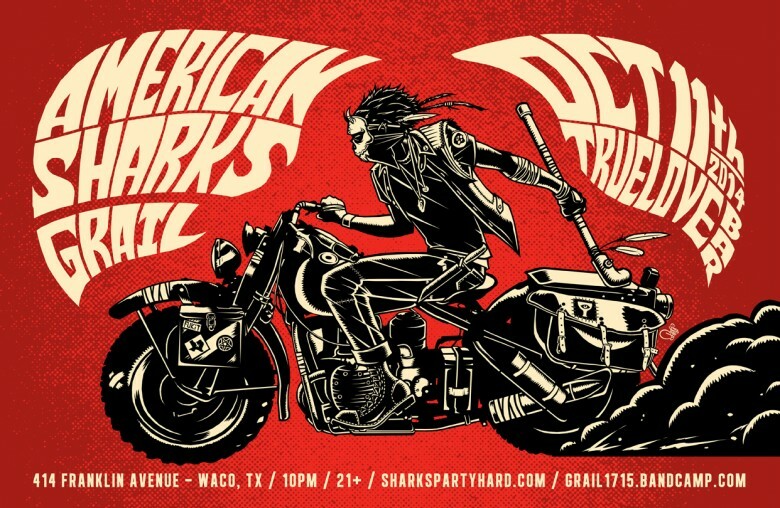 AMERICAN SHARKS!!!!!! I had the immense pleasure of putting this image together for a poster promoting their show (yeah, yeah, Grail is playing too…) at Truelove Bar in Waco TX. Consequently, after working intimately with reference photos of 1942 Military Harleys, now I really want one. I’ve ridden a motorcycle all of ONCE in my life, but I think I could get into it. Maybe. Probably not. ← Hide your light, lest it be DESTROYED!! !